Yes. 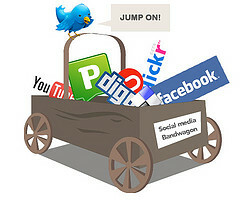 Social media experts say that your online presence can help with website traffic, engagement with readers, brand awareness (your name is your brand if you’re an author), revenue, brand reputation, and product feedback. No. Drawing upon 25 years of online experience (YES! It’s been around that long! ), Janni gives a savvy response, not just to social media, but also to your reputation online, the etiquette of being online and other variables. Be careful. Editorial Anonymous picks up the etiquette theme, reminding us that what’s online is, well, public. Social Media Tip. And here’s a little known fact: most online media picks up information from local sources or other online sources (like I’m doing now). You know how the publisher is always telling you to ask your local newspapers to write about you and your work? Turns out this is very wise advice. It even has a name now: Starter Publicity.